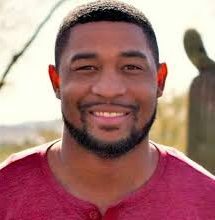 Brandon Tatum – Director of Urban Engagement at Turning Point USA, CEO/Founder/Owner at Tatum Motivation and Spokesman, Special Contributor at Conservative Tribune. Brandon is a former Tucson Police Officer, has become one of the most exciting personalities on social media after making a Facebook Video that got over 70 million views. Tatum has been featured on Fox Business, Fox & Friends, Headline News, to name a few. Tatum was the spokesperson for Conservative Tribune, one of the most popular online media outlets in the country. Brandon Tatum has an avid media following due to his dynamic personality, authentic message, and his natural ability to relate to the everyday American. Brandon Tatum got his start (as) an All-American high school football player out of Fort Worth, Texas. Tatum was featured in the US-Army All-American Game, which showcases the top 78 high school football players in the nation. Tatum accepted a full athletic scholarship from the University of Arizona in 2005. Tatum played at Arizona for 5 years and entered the NFL Draft in 2010. God had other plans for Tatum, and he joined the Tucson Police Department a year later. Brandon Tatum served 6 years with the Tucson Police Department. During his tenure, Tatum became a SWAT operator, field training officer, general instructor, and a Public Information Officer. In late 2016, Brandon Tatum became popular from viral videos he made, which dealt with social issues, politics, and law enforcement. In late 2017, Tatum made another ultra viral video that nearly broke the internet. Tatum gave his critique regarding Colin Kaepernick taking a knee during the National Anthem and it got as many views as the 2017 NFL Super Bowl! A short time later, Tatum left law enforcement and followed his passion to speak (The Truth) full time. Tatum holds a bachelor’s degree from the University of Arizona in Sociology and is actively working on his Masters in Business Leadership from Grand Canyon University. Share the post "Brandon Tatum"